In this post, Joseph, a growth marketer who has worked with us on some projects, writes about his experience using Hubstaff to track his work and productivity. He also runs a creative agency called Visual Lime Creative. As a growing digital agency and marketing organization, we hoped that Hubstaff would help us answer one of the biggest questions we’ve had since my partners and I opened shop: How do we determine what everyone’s owed from each project worked? I’m sure every organization deals with this question. Even during my time as an exec at a $100m company with 200+ employees, figuring out how to pay people was one of our toughest challenges. Further, an additional motive for using time tracking was to get a lot better at estimating projects and getting paid at a rate that allowed us to be revenue positive. I have to admit that when I first started using Hubstaff, I was pretty hesitant about having a time tracker on my machine that also tracked my browser and app usage. It’s not that I’m not a diligent worker. My hesitation, and my team’s, initially stemmed from the fact that most of us have personalities that fall somewhere between ADHD and OCD. For me, I can only characterize my workdays as short and intense periods of work followed by lulls and imbibing in the plethora of mindless distractions readily available to me (ie. Facebook, ESPN.com). Don’t get me wrong, my workdays often span 10 to 12 hours on a good day but I have to admit my productivity is somewhere between 50 and 60 percent. After two weeks of Hubstaff, however, a lot changed in terms of how I worked, and surprisingly, my attitude towards how I approached my everyday activities. Similarly, our team noticed a change in how we managed and planned projects. We also adopted a new appreciation for productivity and workday data. Imagine trying to lose weight without a scale. Without a way to see the progress you’d probably give up in a few weeks and before you know it you’re at the drive-thru window supersizing your meal. The daily activity score really opened my eyes to how powerful quantifying productivity and benchmarking my daily activity rate was. The first week was rough. Seeing a daily score hovering somewhere in the 50% range was tough to swallow. And much to my chagrin, the next few days weren’t all that better. One thing that Hubstaff’s Activity Score brought to my attention was that I was approaching work like a sprinter. I would actively engage in work for 30 to 40 minutes, then my focus would peter off for the next 10 to 20 minutes. This brought down my overall score. From this observation I took away two things: 1) It’s probably best to take a break from work after the 40 minute mark on the timer 2) I asked myself if I could improve my activity score past the 40 minute mark. Self-awareness is a powerful thing. Just by knowing my benchmark score and having the will to improve I was able to increase my level of focus for longer periods of time. I’m up to roughly 1 to 1.5 hours of work now before having to take a mental break. And roughly two weeks later. A lot of our team members also initially expressed similar sentiments and concerns about activity tracking. After a week or so, however, most of them were converts. Like me, they had never tried to quantify productivity and having a metric helped them understand their current capacity and gave them a benchmark for improvement. Is what you worked on today going to move the needle tomorrow? While I was working at my last startup the workload was intense. We’d obviously preach about focus and executing on the most important and priority activities, but at a startup a lot of things are often undefined and chaotic. That means working on one thing while juggling two or three more projects at the same time. If success is built on hard work then surely focus is the blueprint. It’s similar for our agency. Most of us are working on two or more projects at any given time and with the sudden uptick in new clients over the past few months, prioritization has been really difficult and a growing focal point as timelines become more pertinent. 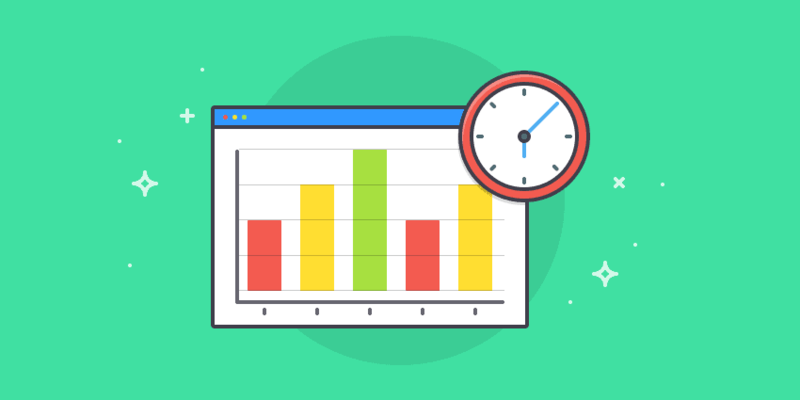 After getting comfortable with Hubstaff’s time tracking and project features, we spent some time as a group analyzing our workday data. Hubstaff shows you a screenshot of what you were working on during that time in 10 min increments and how active you were during that time. 12:00am to 2:00am and in my zone. Alas, a night owl at work. And it also gives you a rundown of Apps and sites you used during your workday. Blog writing for a few hours in G Docs interspersed with inspiration from Lincoln Murphy and Andrew Chen. Interestingly, a new habit I picked up using these features was a daily 2 to 5 minute recap of my workday and productivity data – almost like a work diary. It’s tough to gauge how much time you’ve spent on anything because the brain lacks the cognitive ability to effectively perceive time quantitatively (hence the need for time tracking). Using this data I found that mornings and nights were my most productive hours and that pockets of time on the weekend were ideal for finishing more complex aspects of bigger projects (this blog post, for example). I also introduced this to my team and these insights into our work behavior really made an impact on how we ran our sprint meetings. As avid Asana users, adding a “time spent” component to our weekly sprint meetings and collectively reflecting on the past week and where resources were invested helped us dramatically improve our planning for the week ahead. Hubstaff + Asana. Adding flavor to our sprint meetings. For example, our designers work on a 60/20/20 method, meaning 60% of their time is spent on their core project for the week and the additional 40% spent on one or two other projects to keep things from getting stale. With time tracking and activity scores, it has helped our production team stay on top of the week and ensure that the majority of their time is focused on core projects. As a growth marketer my inclinations towards anything data is a given. While poring over data for insights is what I do for a living, I never thought that tracking your activity data at work could be measured for self-improvements in productivity. With Hubstaff, because I’m consciously making an effort to maintain and improve my activity and focus on prioritized activities my approach to work and my attitude towards what is a priority is a lot more focused. It’s been the same for our team and change has been a big boon. We’re collecting a lot of workday data and in the next few weeks hope to compile some stats to show how we’ve made out on better project estimations. As a growth marketer and co-founder of Visual Lime Creative Digital, Joseph scrutinizes over data and how to make important metrics go up and to right.